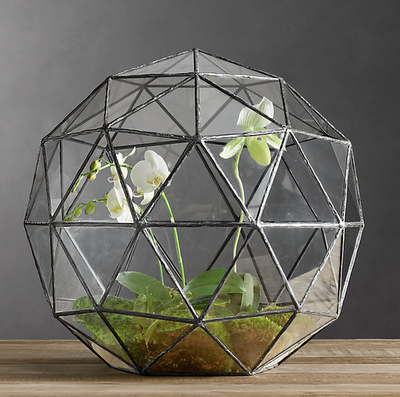 This globe-like geodesic terrarium from Restoration Hardware has immediate appeal. It would be perfectly suited for a larger terrarium plant or a plant that could benefit from some extra room to breathe. To review more resources about creating an orchid terrarium, see my post How to Make an Orchid Terrarium.